Finally, a Gluten-Free Pie Crust That Really Works! So you’ve gone gluten-free. Or your grandson or daughter’s boyfriend has. 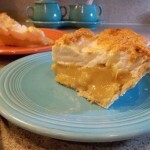 And here it is Memorial Day weekend, and you haven’t made your family’s favorite lemon meringue pie – or blueberry, or apple or strawberry pie – all because you don’t have a gluten-free pie crust recipe you can count on. One that doesn’t taste like cardboard. Or garbanzo beans. One that doesn’t fall apart before you can get it into the pie pan. 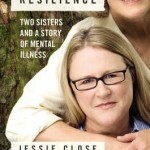 This past week I finished reading Resilience: Two Sisters and a Story of Mental Illness (Grand Central Publishing, Jan. 2015). I picked it up because I like Glenn Close, whose successful acting career has turned her into American royalty. But also because the jacket photo shows her with her arms wrapped around Jessie, her younger sister, whose life gradually unraveled into mental illness and for whom Glenn is a fierce advocate. “Good” Kids: Where do they come from and how can I get one for myself?